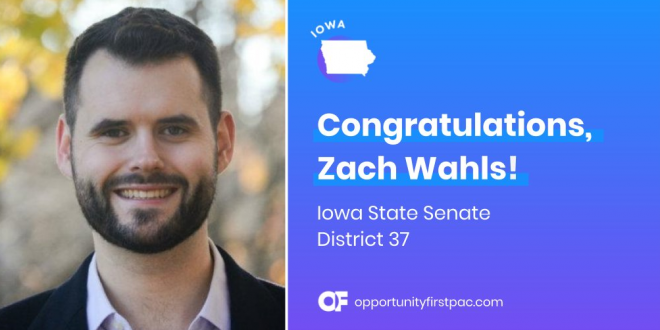 IOWA: LGBT Ally Zach Wahls Elected To State Senate - Joe.My.God. After Tuesday’s victory in the race for the District 37 state Senate seat, Democratic candidate Zach Wahls becomes one of the youngest faces in that body at 26. In 2011, Wahls stood on the political stage for the first time with a speech in front of a legislative committee to argue against a proposed constitutional amendment in the state that would have banned gay marriage. A video of the speech went viral, amassing almost 2 million views in two weeks. Wahls has been an activist ever since. Wahls’ speech was in defense of his moms.